International Bird Rescue is fortunate to have some truly amazing small business sponsors. 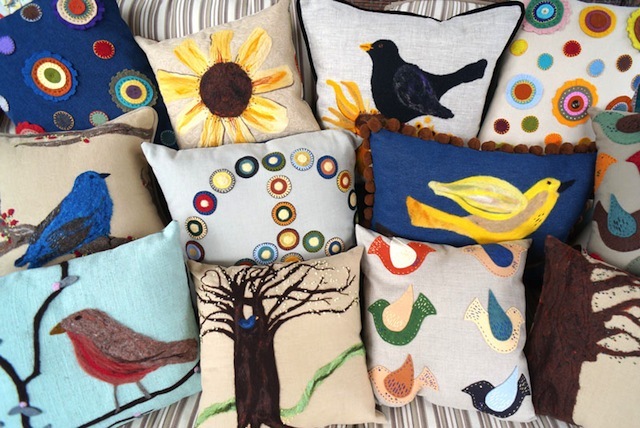 For this week’s shout-out, we highlight the work of Nestle and Soar, a fiber art studio founded by embroiderer and fiber artist Georgianne Holland just outside of Boulder, Colo. Nestle and Soar has donated a Tattoo Swallow Fiber Art Pillow for our membership drive. 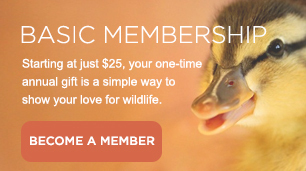 Become an International Bird Rescue member today and you could win! I began my adventure in the needle arts in the 1970s as a member of the Leman family, and my mom, Bonnie Leman, was an important figure in that resurgence of quiltmaking and the developing quilting industry. I am very proud of my family’s legacy. As the founding publishers of Quilter’s Newsletter Magazine, Quiltmaker Magazine, and the Quilts & Other Comforts catalog of books and supplies, my family witnessed the transformation over 30 years of thousands of independent creatives, who were mostly women, and the remarkable efforts they displayed in developing their artistic gifts. In this creative and entrepreneurial environment, I learned to love textile arts and success stories of small-business savvy. I want to salute all the women who were faced with the stereotype in the late 1960s of, “The needle arts are not art, they are a woman’s domestic duty,” and turned those artistic skills into thriving careers and a significant contribution to the world of both art and fine craft! I am proud to be part of this transformation and this community. The most recent textile adventure I have enjoyed began six years ago when I opened my current fiber art studio near Boulder, Colorado. I named my studio “Nestle and Soar” because I am a lifetime romantic about the majesty of trees and the colorful, glittering and whimsical presence of birds. As a mom, I completely relate to the term “nestle” as it pertains to gently holding my loved ones close to my heart. I love watching bird families make nests as I provide for our backyard birds! Many of my textile arts are created in the style of John J. Audubon, whose bird illustrations continue to be an inspiration to me, and dare I say it, make my heart soar. As a businesswoman, I have always used a portion of my profits to support the Arbor Day Foundation, and am pleased to arrange for a tree to be planted in honor of my clients. I’m sure you realize that the trees that are planted in this manner are tiny — just little whispers of tree-goodness —but that is kind of the point! Each of us has the opportunity every single day to make a small yet heartfelt contribution to the health and well-being of our planet and of one another. Operating my own design studio, workshop and online boutique, I am able to make small yet mighty daily contributions. I thank all of you for the support you give me through your interest in my textile arts! I look forward to hearing from you! If you have any questions about the hand needle felting, embroidery or elegant home decor items made here at Nestle and Soar studio, I invite you to send me a message. 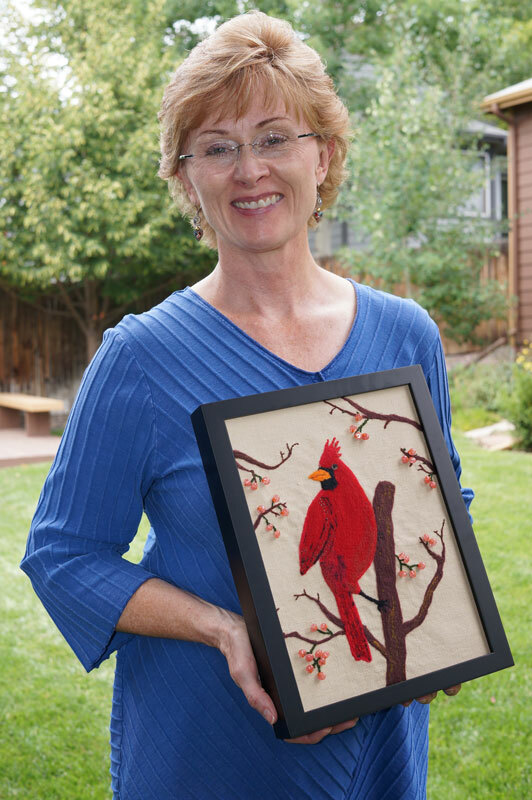 I am happy to answer as well as happy to learn about your favorite bird or tree so that I can help you enliven your home with the simple, elegant textiles that are handmade in Colorado here at Nestle and Soar. International Bird Rescue is lucky to have some truly amazing sponsors. In this regular feature, we highlight the work of some of our key supporters. This week’s spotlight belongs to BirdProject soaps by Matter Inc! Of all the brilliant sketches on IFC’s Portlandia, perhaps the most famous (or infamous) is Season One’s “Put a Bird On It,” where a hapless design duo takes over a tasteful gift shop to put their avian touch on every item imaginable. Indeed, gift stores across the country seem to be ever-increasingly filled to the rafters with bird-related merchandise. We often wonder: Do these companies give back to the animals that they put on their products? Answer: Some of them do. 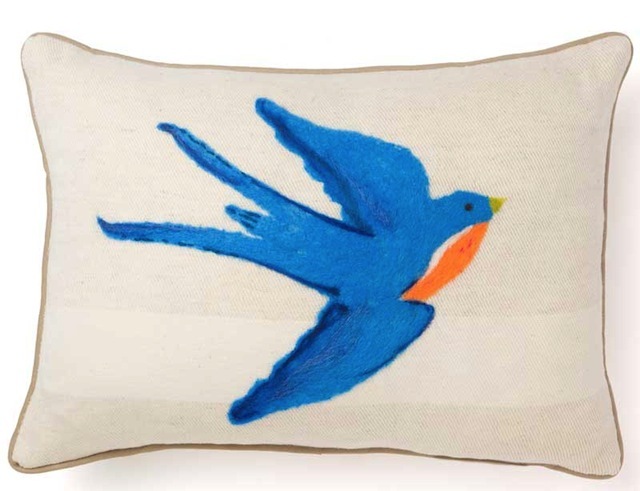 In fact, one of the coolest bird-inspired products has given over $9,000 to International Bird Rescue since 2010. 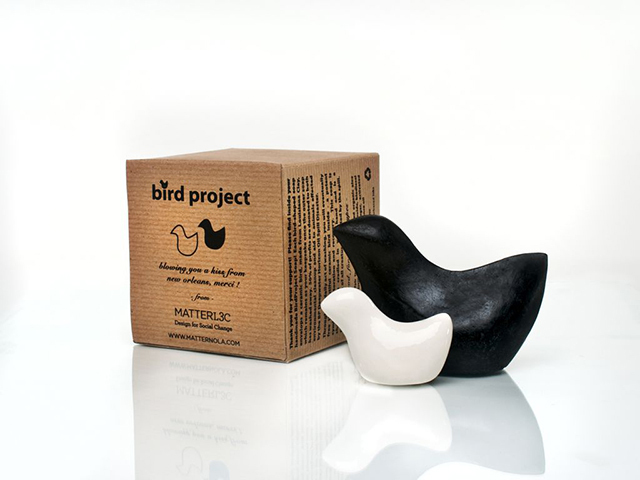 We’re talking about BirdProject soaps by Matter Inc. The soap is the brainchild of Tippy Tippens (pictured right), who was living in Brooklyn when the Gulf Oil Spill unfolded into the worst ecological disaster in American history. International Bird Rescue was on the ground throughout, co-managing oiled bird care in four states. 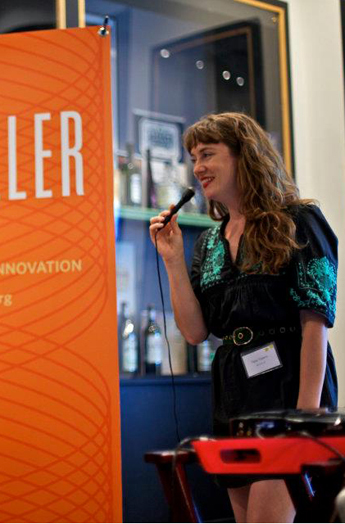 Tippens, an alumna of Propeller’s Fellowship & New Ventures Accelerator, launched the project via Kickstarter. The rest is artisanal soap history. 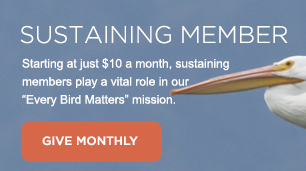 —50% of profits go to the Gulf Restoration Network and International Bird Rescue. And, the pièce de résistance: At the center of each soap is a work of art: a white ceramic bird fashioned from Louisiana clay that can be used as a decorative accent in the bathroom or elsewhere in your home. 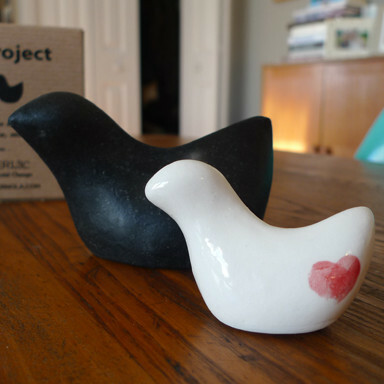 Check out BirdSoap’s special LoveBirds Edition here, and a Valentine’s Day sale on select items here. Thank you, Tippy and everyone at Matters Inc!